2K Sports has just announced that the Summer League will be a part of NBA 2K16. The NBA Summer League was last seen in NBA 2K11, where bad performance would lead to your MyPlayer going to the D-League to start their career rather than the NBA. Samsung sponsors the Vegas league. The screenshot posted by 2K Sports indicates that Las Vegas will be the place for the Summer League in NBA 2K16. Will the Summer League be a feature exclusive to MyCAREER mode or will it be available in other modes as well? Will we see a return of the D-League or maybe some sort of Draft Combine? 2K Sports did not elaborate any further on this mode of the game yet. We will let you know as more details come in. 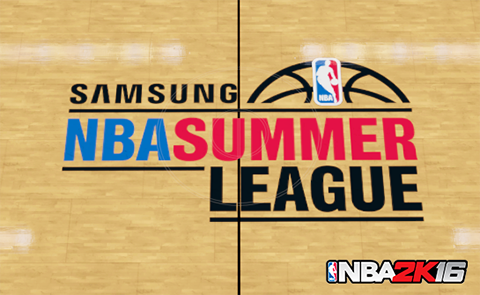 UPDATE: NBA 2K16 will feature the Summer League in both MyGM and MyLEAGUE. For those of you that have missed out on the recent news about the game, check out our NBA 2K16 page.